HAVSco will have a stand at this year’s Health and Safety Expo at the NEC Birmingham. Come along to see what we do and ask any questions you have about HAVS between the 9th and 11th of April 2019. Click below for more details, we look forward to meeting you! Stay tuned for more events & news and to find our stand at Health and Safety at the NEC! HAVSco will have a stand at this year’s Health and Safety North Expo in Manchester. Come along to see what we do and ask any questions you have about HAVS between the 9th and 10th of October. Click below for more details, we look forward to meeting you! Stay tuned for more events & news and to find our stand at Health and Safety North! HAVSco will have a stand at this year’s Health and Safety Scotland Expo in Glasgow. Come along to see what we do and ask any questions you have about HAVS between the 12th and 13th of Septmeber. Click below for more details, we look forward to meeting you! Stay tuned for more events & news and to find our stand at HSE Scotland! HAVSco is proud to receive the 2015 Mineral Products Association, British Precast Award for innovation. We are looking forward to providing MPA and British Precast companies with hand-arm vibration monitoring systems. 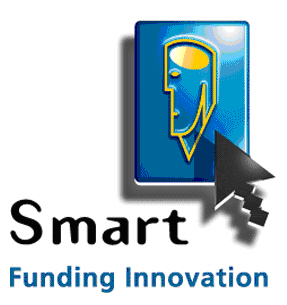 HAVSco is awarded the SMART – Funding Innovation Award! HAVSco has been awarded the prestigious DTI SMART funding award to aid in the development of monitoring for Hand Arm Vibration! Learn more here.